OMERO 5.2 is the last major version which will feature Windows support for OMERO.server and OMERO.web deployment. See this blog post for details. If you are installing a new server, we highly recommend you use a different OS (see Version requirements). Since OMERO 5.2, the OMERO.web framework no longer bundles a copy of the Django package, instead manual installation of the Django dependency is required. It is highly recommended to use Django 1.8 on Windows. For more information see Python on the Version requirements page. For more details refer to Django 1.8 installation on Windows. A straightforward set of steps is required to get the ISAPI WSGI handler for OMERO.web working with your IIS deployment. 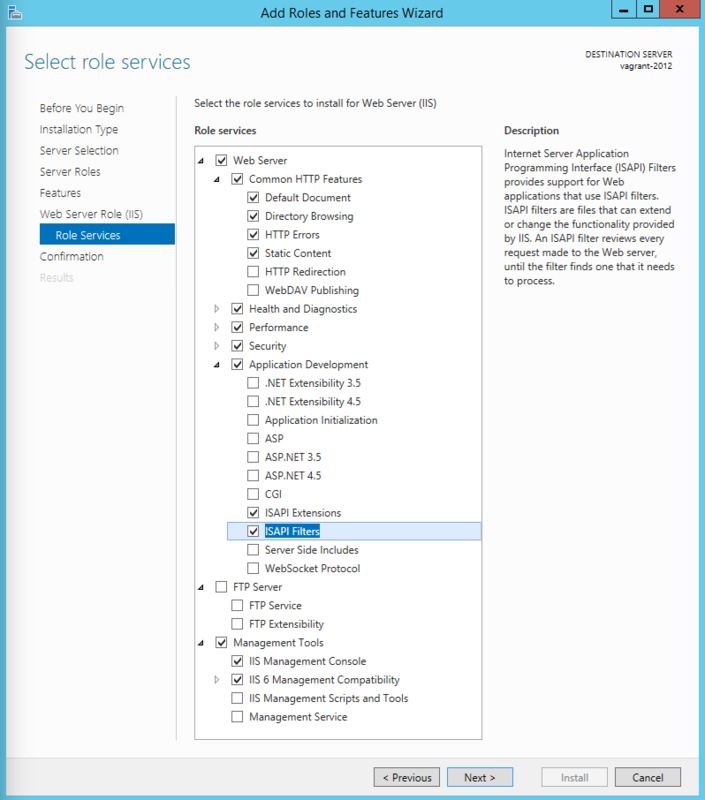 Ensure that the ISAPI for IIS options are installed. Alternatively if you are using a 32-bit system you can use the Windows Installer. 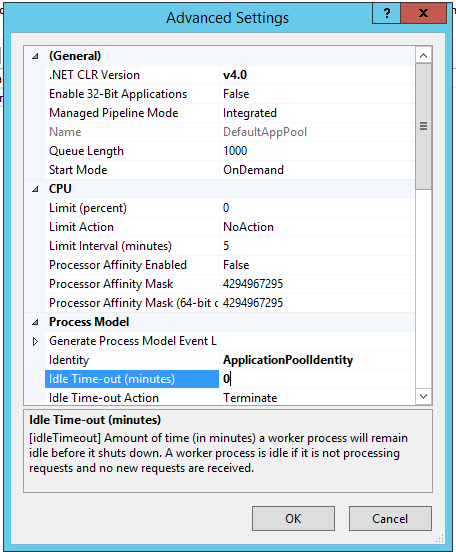 Idle Time-out (minutes) - to stop the worker process from suspending during inactivity periods, this setting needs to be changed to 0. 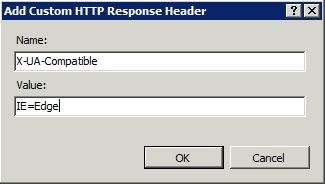 To avoid rendering errors on OMERO.web it is recommended to add the custom HTTP response header in the Web site pane. This will automatically add two applications, /omero and /static , to the default web site and application pool. You can customize these locations by setting omero.web.prefix and omero.web.static_url. 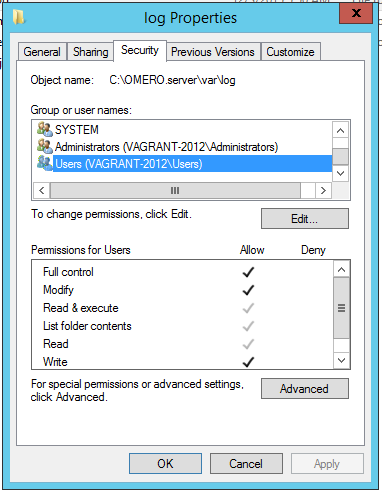 You can make manual changes to the IIS OMERO configuration but they may be lost when OMERO.server is upgraded. As OMERO.web 5 is based on Django 1.8, omero.web.session_engine and omero.web.caches should be unset. If your deployment requires additional cache store please follow the Django documentation for more details.